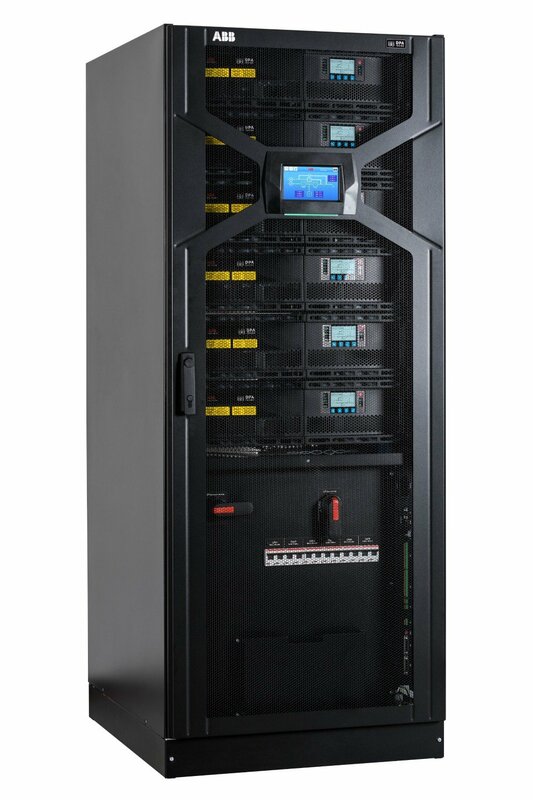 Industrial technology giant ABB claims its latest uninterruptible power supply is the world's most efficient, delivering module efficiency of 97.6 percent without adopting "exotic" technologies. The DPA 250 S4 is built up from 50kW modules: six in one rack gives 250kW of N+1 reliable power, and up to six of these racks can be paralleled for up to 1,500kW of power. The modules are hot-swappable and will switch off when not needed, to keep the system at high efficiency. UPS efficiency is not a static number, as it varies according to the load - the systems operate most efficiently when they are nearly fully loaded. A good figure to aim for, according to recent product launches, is around 96 to 97 percent. 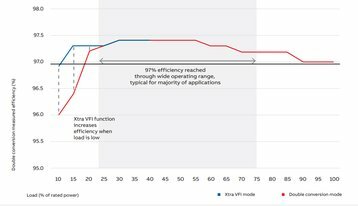 ABB says a single DPA 250 S4 250 kW module achieves 97.6 percent efficiency over a surprisingly wide range of loads, from 25 percent to 75 percent of nominal capacity, according to the product brochure (graph below). When modules are aggregated together, the claimed overall system efficiency is 97.4 percent. ABB says this level of efficiency is achieved without the use of silicon carbide, according to UPS product manager Diana Garcia, quoted in an ABB brochure: "The DPA 250 S4 uses three-level converters and interleaving controls that give a performance equivalent to more exotic technologies like silicon carbide but without the extra costs." To increase efficiency at low loads, UPS systems are often designed with several modules, so that individual modules can be switched on or off as the demand increases or decreases. In the DPA 250 S4, the modules are substantially independent, and enter "lean-power" mode when power is switched between them. 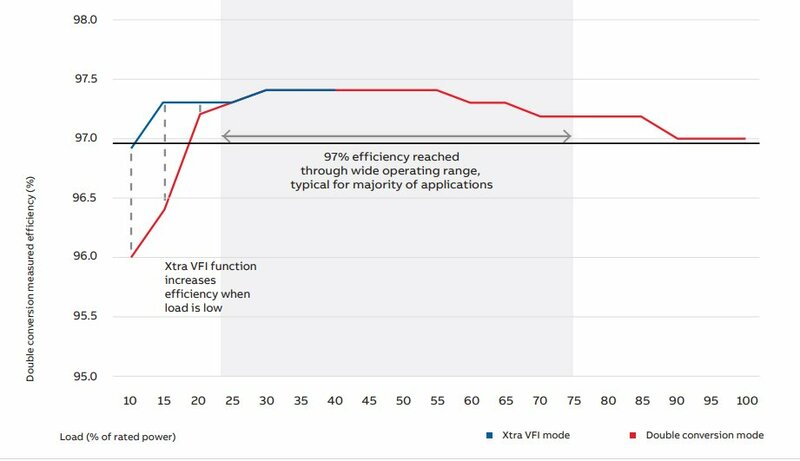 ABB calls this Xtra VFI mode, which Garcia said "looks at the load the UPS is supporting and works out the optimal number of modules to use so they are all working in the best part of their efficiency curve. "Then it switches the other modules to standby, ready to immediately jump into action if the load increases. This saves a lot of power and money, especially in locations with high power usage such as data centers." Like most modern UPS systems, the product is transformer-free. It uses IGBT (Insulated Gate Bipolar Transistor) converters, with interleaving controls. All this reduces the space and cooling requirements of the product. The DPA 250 S4 modules have smart and secure power connectors. The system works with different battery types, Garcia said: "Of course, the storage options include lithium-ion batteries with their higher power density, better recharge characteristics and longer service life."